UK scientists studying high-energy light from space and the connection between the Sun and Earth are to lose funding on a number of their projects. 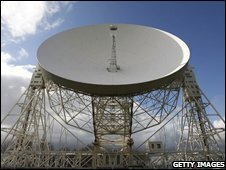 The body overseeing UK astronomy and physics says some of its programmes will be cut back to save £80m by 2011. But the Science and Technology Facilities Council says these savings should be seen against an overall budget for the period of £1.906bn. This would allow it to fund many world-leading science projects, it said. The budget to 2011 was agreed by the body's executive council following a three-month consultation. Areas that will lose money are those deemed to be a low priority in a recent programmatic review. They include support for the Integral space telescope and the Veritas observatory, both of which are concerned with the investigation of gamma-ray light; and Bison, an observatory network pursuing solar-terrestrial physics. Astrogrid, which ties together astronomy datasets for research, will also lose its financial support. The eMerlin radio astronomy network, based on the famous Jodrell Bank Observatory near Manchester, will get an STFC contribution but will need extra resources to continue. The STFC said discussions with stakeholders were taking place to ensure its viability. And it added that other investments, notably in the international Square Kilometre Array project led by the University of Manchester, meant Jodrell would continue to be an important hub for radio astronomy research. Areas considered to be a high priority for the UK include work on detecting gravitational waves, and space telescopes that image the Universe in the infrared. "It should be stressed that there is no squeeze on projects; the volume of projects going forward is the same as going backwards," said STFC chief executive Professor Keith Mason. "What we are doing is losing old stuff at lower priority to do new stuff, and it is vital that we do the new stuff to stay out in front. "It is a fantastic time to be a scientist in our field; we have amazing things coming up such as the Gaia and James Webb Telescopes. These [facilities] will do incredible things," he told BBC News. An STFC statement also pointed to investments that would give UK scientists access to the Large Hadron Collider (LHC), to investigate the fundamentals of matter; to a project in Japan (known as T2K) that will probe neutrino particles; and in the European ExoMars rover which will be sent to the Red Planet to look for life (although it will have its planned instrument budget cut back). 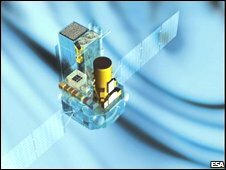 But the STFC has acknowledged that some of its decisions have been painful, and it is these savings which are sure to stir much discussion in the UK astronomy and physics community. The community has been in uproar since the beginning of the year when it was indicated some disciplines stood to lose financial support as the STFC sought to balance its government-approved budget against its future objectives. At one point in February, it appeared as though the "funding crisis" would lead to the UK losing access to the eight-metre-class Gemini telescopes - two of the best telescopes in the world which Britain had helped to build. And for a short period, the international "club" that runs Gemini considered the UK to be an ex-member. MPs on the House of Commons Innovation, Universities, Science and Skills committee said the whole affair reflected poorly on the UK and had left the nation looking like an "unreliable" and "incompetent" partner for international science. The government Department for Innovation, Universities, Science and Skills (DIUS) maintains the settlement it gave the STFC was a good one, and continued the trend in recent years of real rises in science funding. Professor Andy Fabian, president of the Royal Astronomical Society, said there was still great concern over the issue of research grants and how their recent growth might be reversed in the next three years. "What [the STFC has] done is come out with money for specific projects, new facilities," he told the BBC. "That's great; we want them - but there are a lot of people who need to use them or work on the data that comes from them. That's what the average person in a university is relying on. "We don't know how they're going to tell us about that. Part of our problem has been the breakdown in communication." 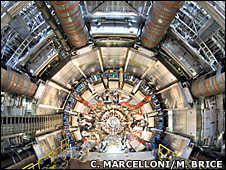 Independent reviews have been initiated into the general state of physics funding in the UK and into the role of the STFC itself. Both of these investigations are expected to report in the Autumn.